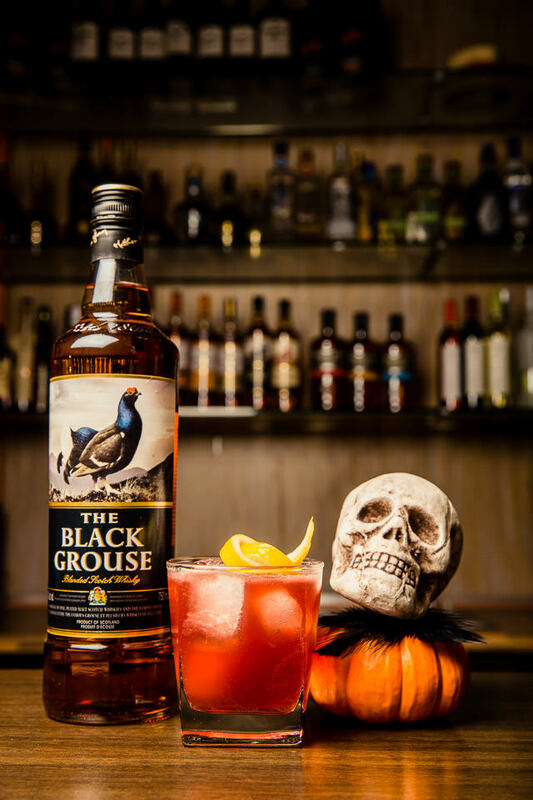 Make the Black Grouse your Halloween Go-To Spirit! Planning a Halloween party? 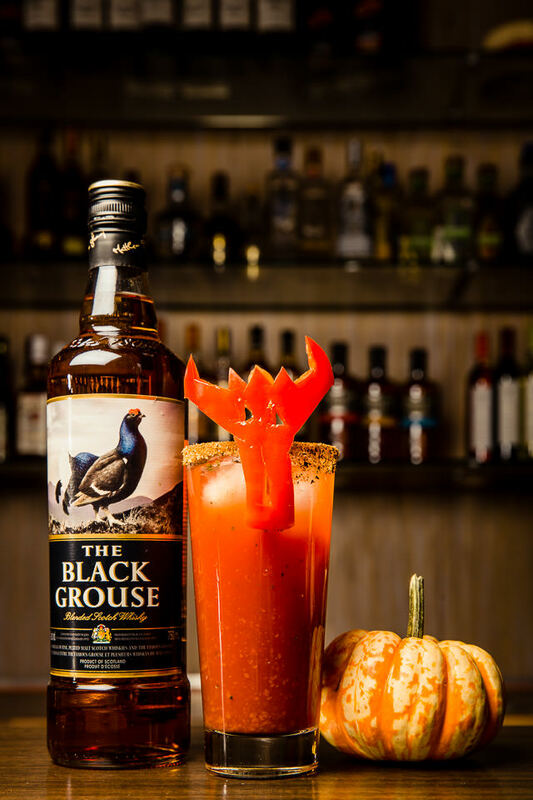 Look no further than The Black Grouse, the darker, more mysterious cousin to the much beloved Famous Grouse. This award-winning Scotch Whisky has delightful oak and smoky notes with hints of sweetness. It’s perfect for mixing those cocktails that require an extra layer of “mystery”. I’m a big fan of Halloween and costume parties. This year the most popular themes for Halloween come from the popular shows Game of Thrones and American Horror Story. Here’s a Game of Thrones inspired cocktail. It’s called The King Slayer. Fans of the show know the reference well! In a mixing glass filled with ice, add The Black Grouse Blended Scotch Whisky, red wine, and lemonade. Shake vigorously and strain into a short glass filled with fresh ice. Top with non alcoholic ginger beer. Garnish with a long lemon twist. Dragons and king slayers not your thing? How about Twisty the Clown? This cocktail is inspired by the popular show American Horror Story. It’s called: The Bloody Horror. It’s a new twist on the classic Caesar. Rim a tall glass with Radical Rimmer or Montreal steak spice. Fill with ice, then add salt, pepper, chipotle tabasco and worcestershire sauce to taste. Now add BBQ sauce and pour The Black Grouse Blended Scotch Whisky on top. Fill with clamato and give it a quick stir. Garnish with a red pepper “devil” on a skewer or cherry tomatoes.